In my last blog, I mentioned a song that I had written with Aly about Peace Pilgrim; an amazing woman who walked alone across America to spread a message of peace. Whilst she spoke of peace between nations and individuals, she also taught a great deal about the need for inner peace, and in these stress-filled times, this seems more relevant than ever. Follow these steps to start your own journey towards inner peace. Eating well, drinking fresh water, exercising, getting enough sleep and plenty of fresh air may seem obvious but they have always been the best way to lay the foundations for inner peace. One of the key points in Peace Pilgrim’s journey was that she relied entirely upon the kindness of strangers, and in these uncertain times, it’s useful to remember that people are, for the most part, good. It’s true that when anything bad happens in the world, there are always people that are helping, even putting their own lives in jeopardy in order to save others. Focus on this and you will feel better. Jealousy is borne of a survival mechanism – we learned to envy what others had in a time when no one had much at all! It should be much less relevant in our modern world. Jealousy of other people and their possessions, their appearance or their relationships, (to name a few instances) are all enormously self destructive. Take time to notice what you have, practise gratitude for it, and avoid comparing yourself to others. You are on your own journey. If you notice jealousy creeping in, stop it in its tracks with a positive thought about yourself. You will notice that it appears less and less, and its control over you diminishes. Try to do something kind for someone every day. This can be holding the door open for someone, saying something nice, or making someone a cup of tea after a hard day. The benefits of being kind are enormous, filling you with warmth and releasing serotonin; a natural antidepressant. Practising kindness is shown to improve health, mood and sleep patterns, whilst reducing anxiety and destructive patterns of behaviour. Kindness has a ripple effect; the kinder you are, the more likely that others will be kind to you in return! Worrying is a natural and normal part of being human. If you were to list your worries however, there is a strong chance that they would be mostly based around either the past or the future. If you think about now, this present moment, you would find that except in the most extreme cases, now is okay. Sometimes it can help to let problems go, and to believe that they will be solved in due course. So, when you have a problem or are beset by fears, always create time to switch off, go inside yourself and ask for guidance. Affirm that the solution will come to you when you need it. Asking your inner self for guidance is a powerful way to affirm self-belief, a key element for inner peace. 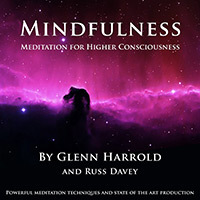 Take a moment to get in a comfortable position, close your eyes and focus on your breathing. Once again, begin to breathe deeply and slowly, in through your nose and out through your mouth creating a circular breathing motion. 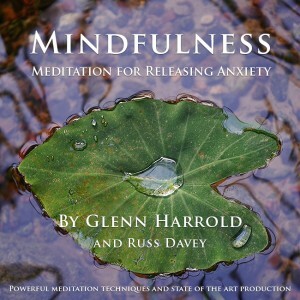 At the top of your breath hold it for three seconds then silently and mentally count to five on every out breath. As you breathe out, let go of any tension left in your body. As you lie there relaxing more and more, imagine you are gazing up into the night sky. You notice many bright and beautiful stars. As you marvel at this wonderful picture you notice one particular star shining brightly, more than all the others: a shimmering glowing star, shining so brightly in the night sky, radiating energy and light. Your whole attention is drawn to this star. You feel there is something special about it, as though it is there to help you in some way. You sense that this star holds the key to everything you need to know to help you go forward successfully in life. Become completely focused on the tiny, white, ball of light and notice it coming nearer but still remaining the size of a tiny ball. See it come closer and closer until it is hovering just above the crown of your head. Imagine it floating in mid-air above your head. You may at this point feel a slight tingling sensation or a warm, comforting glow. When you are ready, slowly count from one to ten, and open your eyes and come back to full waking consciousness. Connecting with yourself in this way will reinforce all the lessons you have learned on your journey and help you to continue on your chosen path. 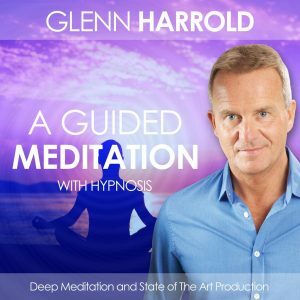 Never underestimate the power of these meditations and visualization techniques. Repeated affirmations compound the beliefs you have chosen to endorse and, even if you are not fully aware of their influence on you, will continue to work in your unconscious mind. Inner peace is a journey, rather than a destination. There will be times when you experience worry, jealousy or anger but these are all a natural part of being human. Acknowledge the feelings and the reason behind them, and let them go without judgement. P.S. 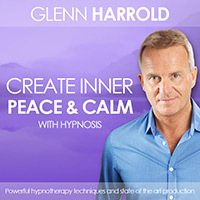 My hypnotherapy / hypnosis recordings can help you find inner peace. 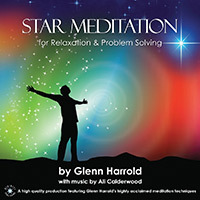 Download these recordings now! These titles are also available as iPhone, iPad and Android apps. 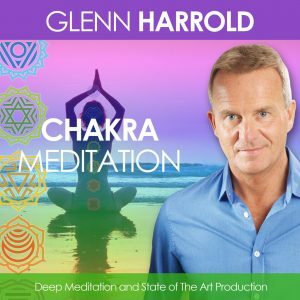 Download these recordings now! 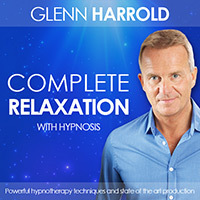 Can you please work on an IBS hypnotherapy recording for me I am in great need of it- I am on Disability and go to an IBS hypnotherapist in NYC but it is enormously expensive per session. I would give you the world if I could Glenn- if you can make an IBS recording. Great post. I have been a fan for years, and the fact that you are still pumping out articles to help educate us all is absolutely incredible. 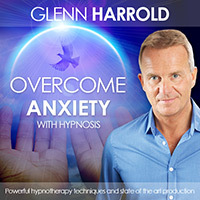 You were one of my inspirations when I began to study hypnosis and now I have a great practice and am loving life. So Thank You. I really enjoyed reading through all the blogs. Very inspiring.